Singapore has seen a huge rise in online shopping activity over the past few years, with some e-commerce startups receiving investment or even proceeding to expand across the Asia-Pacific region. Here’s a list of what we think are up-and-rising and popular e-commerce sites in Singapore. Launched in March 2009, Reebonz is an e-commerce site that deals in luxury products and services, such as high-end handbags and luxury travel packages, offering them at a discounted price compared to brick-and-mortar retailers. It is backed by Intel Capital. Customers get to enjoy free shipping for all orders, which arrive wrapped in their signature Reebonz black box with gold ribbon. The company also absorbs all customs duties and taxes that might be incurred during overseas deliveries. Reebonz has been doing well for itself, having closed a US$40 million financing round led by Singapore’s media giant MediaCorp in May 2013. They also bought over online luxury goods store Clout Shoppe from SingPost for an undisclosed amount in March 2014. ecommerce sites singapore clout shoppe In addition to their focus on luxury products, Reebonz also launched Kwerkee in mid-2012. Kwerkee is an e-commerce site that carries a lot of unique, novelty household items and gizmos. previously known as Gmarket, is a major global e-commerce site originating from Korea after forming a partnership between eBay and Giosis Gmarket. It has several other localized sites in five countries, including Japan and Singapore. Qoo10 is a huge B2C marketplace, offering products such as clothes, gadgets, and groceries. There are many discounts and promotions held almost daily to encourage repeated purchases and retain loyal buyers, such as a ‘lucky lounge’ where members stand a chance to win coupons and stamps for future purchases. It also accepts many payment methods, such as credit cards, Paypal, ENETS (a real-time online bank transfer service), and even via AXS payment stations (a physical payment transaction terminal system) strategically located around Singapore. Most recently, they’ve also rolled out a “Pay cash at 7-Eleven” option to reach out to Singaporeans who do not have credit cards. As not all Qoo10 sellers are based in Singapore, shipping methods and duration vary greatly. Launched in late 2011, Redmart is one of Singapore’s most prominent online stores that caters especially to busy people. This online grocery mart offers a selection of over 8,000 products ranging from household items to groceries. Without heading out of the house and waiting in line for their purchases, customers pay via credit card and receive orders right at their doorstep. Redmart has attracted investments from Skype co-founder Toivo Annus and Golden Gate Ventures, and expanded its warehouse and team early in 2013. Since then, they’ve raised $3.5 million in series A funding from online gaming services provider Garena, as well as a $5.4 million bridge round led by Facebook co-founder Eduardo Saverin earlier this year. NoQ Store is an online book store, which was founded back in 2011 as a subsidiary of Times Publishing Limited. It has a massive depository of books and novels, but the highlight of this bookstore is their competitive pricing, which rivals most major brick-and-mortar bookstores out there – lowest prices are guaranteed. The icing on the cake is the free shipping they offer – but only for orders made in Singapore. Worldwide shipping is provided for a nominal fee. ecommerce sites singapore noq store. Jipaban, launched in May 2010, brands itself as an online social shopping mall. It is owned by Netccentric, which is also the parent company of Asia’s leading blog advertising community, Nuffnang. Jipaban operates in both Singapore and Malaysia. It currently offers shipping to other countries, such as Thailand, South Korea, Hong Kong, and New Zealand, to name a few. Users can customize their own ideal online mall by creating a list of their favorite brands. It offers loyalty points with each purchase which can be used to redeem items from the store. Bellabox is a subscription e-commerce startup focusing on cosmetics for both men and women, and it recently raised US$1.37 million in series A funding. Founded in October 2011, Bellabox operates in both Singapore and Australia. It sends subscribers a box of hand-picked products or samples every month at a fee starting from SG$19.95. Satisfied customers who would like to get the full-size products after testing the items from the box can then purchase the products directly from Bellabox’s online site. As of 2013, the startup manages samples from over 250 well-known brands. Another subscription-based e-commerce startup in Singapore, Vanity Trove started up in late 2011. Similar to most subscription-based e-commerce services out there, it offers a range of beauty samples every month. The rise of beauty box clones in the region has caused them to pivot, and they recently launched a web and mobile social media platform for brands to engage with their customers. The startup has acquired Glossybox Taiwan, as well as Glamybox Vietnam. Prior to this acquisition, it expanded to Malaysia, Thailand, and Indonesia. Yet another e-commerce giant, this time from China, Alibaba-owned Taobao boasts an incredible 119 million shopping accounts on mobile alone. It opened an office in Singapore to serve as a hub to Southeast Asia in September last year, much to the delight of over 280,000 users locally. ecommerce sites singapore taobao Taobao customers in Singapore are able to enjoy any free shipping promotions that are offered by sellers. Payment can be made via the company’s online payment service, Alipay, which is available via Alipay Purchase Card at AXS kiosks located across Singapore. ecommerce sites singapore alipay. Carousell is a C2C mobile marketplace app. Since its founding in 2012, Carousell claims to have an impressive 500,000 products listed on their app. They received $800,000 in seed funding led by Rakuten late last year, and are currently looking to expand to Malaysia and Indonesia. The secondhand marketplace seems to be exceeding expectations, with users opening the app 10 times a day on average, for up to 25 minutes in total, according to co-founder Quek Siu Rui. The company has initiated strategic ties with other platforms as well, and launched the SheShops Marketplace with herworldPLUS which caters to female users, who make up 70 percent of the overall number of users. Carousell also struck up a partnership with STClassifieds, such that items posted for sale on its platform will now also appear on STClassifieds. ecommerce sites singapore carousell With the addition of e-commerce giants Rakuten and Taobao, Singapore’s e-commerce scene is heating up quickly. 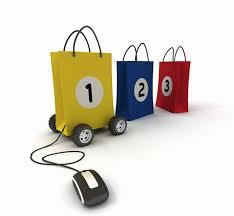 Consumers are starting to embrace the variety and competitive pricing of e-tailers, and they will certainly be spoilt for choice in 2014.